The film thus explains how this young artist acquired his craft. Looking carefully at two key early periods – the so-called Blue Period and Rose Period – the film takes us all the way to 1907 and the creation of a critical painting in the history of art – Les Demoiselles d’Avignon. It was a painting that shocked the art world but changed it irrevocably. Picasso was only 25 years old. Working closely with all three Picasso Museums in Malaga, Barcelona and Paris this film explains how he rose to great heights. 85m. 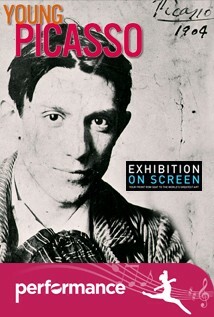 We are happy to announce a Q&A at the end of each screening of 'Young Picasso'. Director Phil Grabsky will join Composer Stephen Baysted on the 7th February.